Nice to see you at the Lego store today. It always make me feel better about my purchases when I get to talk to you for some reason and we are getting better at filling our cups but I hid them from you this time so you would not tell us we could have still done better lol. 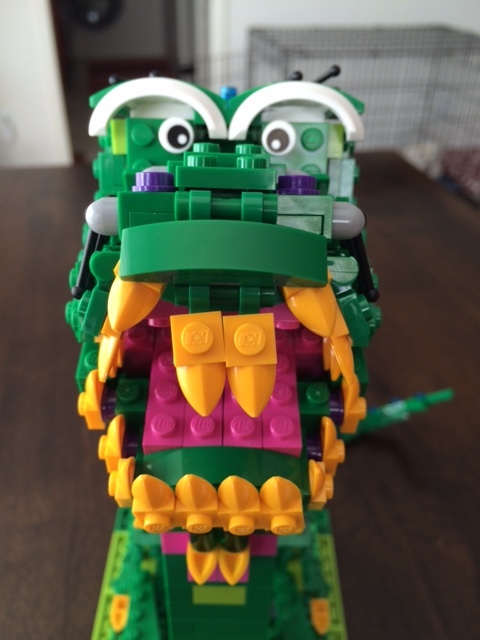 The dragon that you build from the pick a brick wall was awesome and wanted to know if you could post a picture of it here? I thought about asking you if we could take a picture but you were in such a rush since you were working the till at the time. 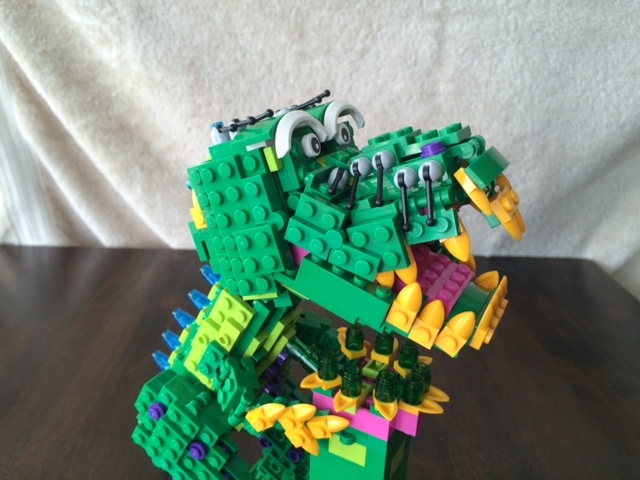 Thanks for taking the time to show it to us as we thought you were very creative with limited bricks! It's always good to see you guys! 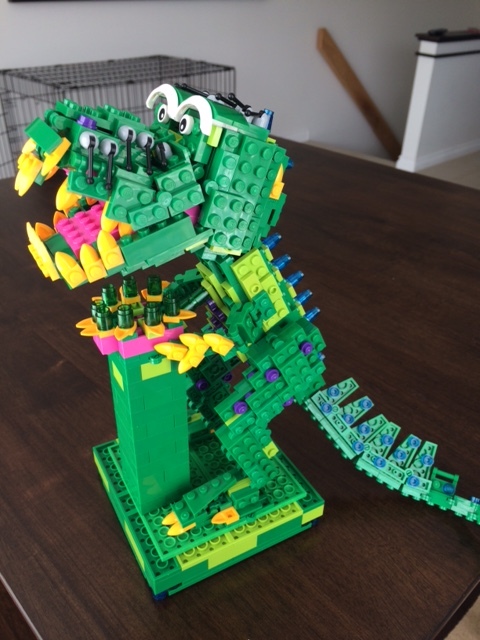 The dinosaur is fantastic! At first I was wondering how the tail came in two colors (almost looks like an airplane fin part), then I realized that trans-blue cones and green wedge plates were used.